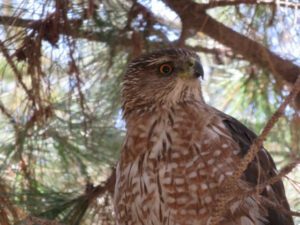 A hawk “captured” on camera visiting the Urban Forest. 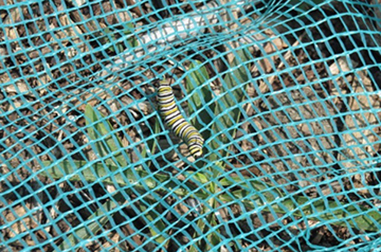 The milkweed net hasn’t deterred this caterpillar from munching. 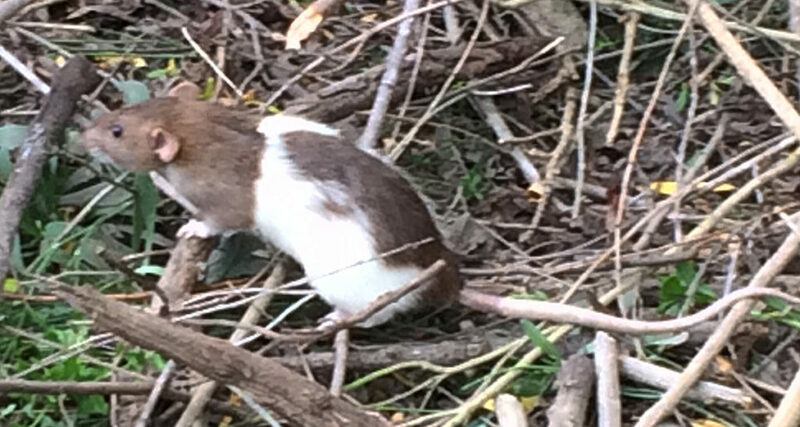 This rat, named Daisy for her bovine-like markings, was unafraid of humans – possibly because it had been someone’s former pet. 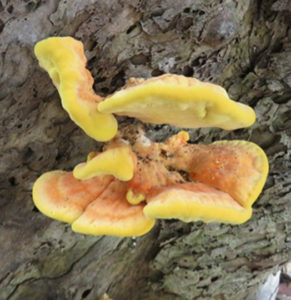 Laetiporus Sulphureus (Chicken in the Woods fungus) grows on a snag (dead tree, below) by the Urban Forest gate. 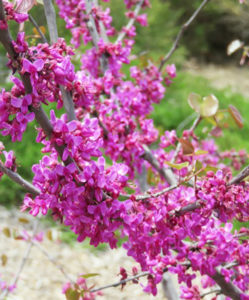 Thrifty water-using California Redbud trees abound in the UF and bloom every spring. 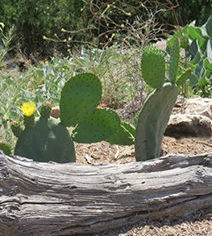 Several succulents are found in the Urban Forest, including this Opuntia, or Prickly Pear Cactus. 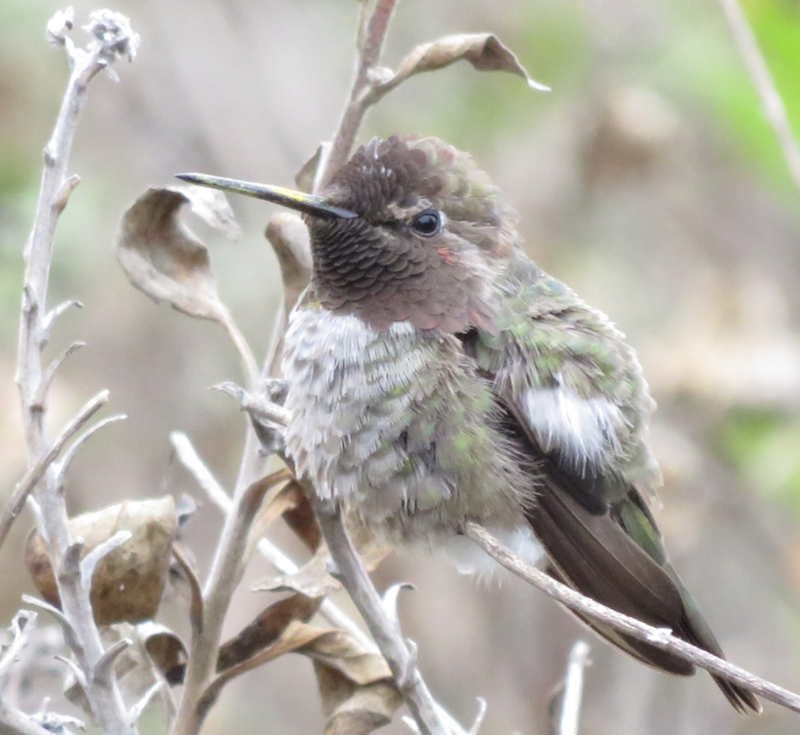 Snags like these near the UF Ellis Ave. entrance are standing dead trees that are full of life. 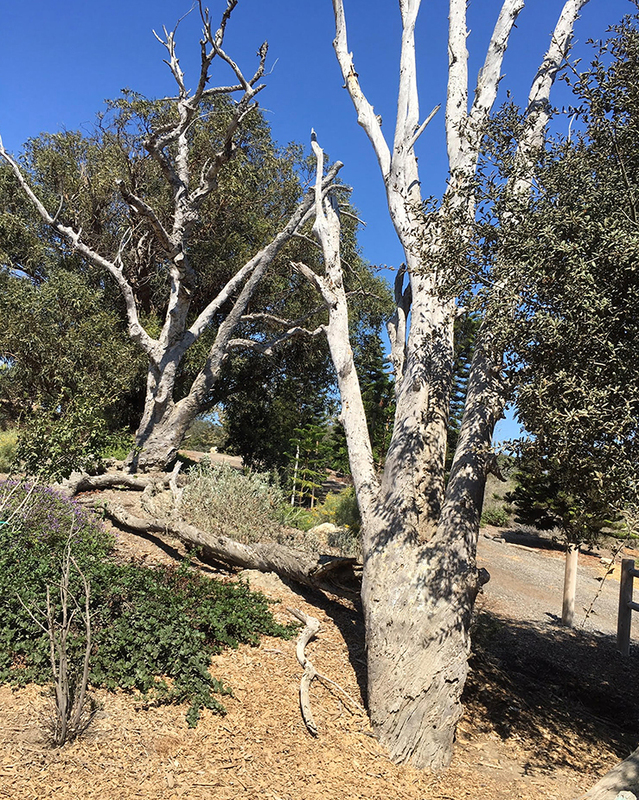 Native wildlife depend on snags for food, nesting and shelter. 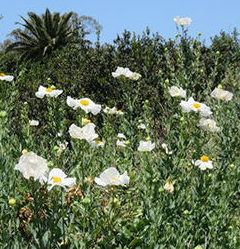 Matilija Poppies, another hardy California native. 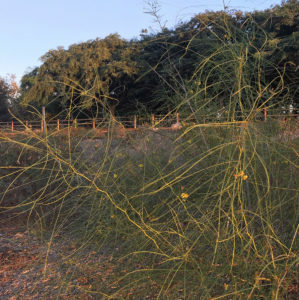 Native Palo Verde (“green stick” in Spanish) tree. 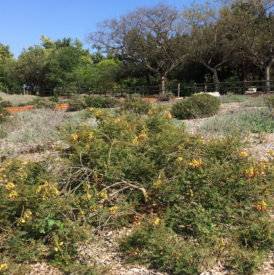 Bird of Paradise – high-heat tolerant and water-wise shrubs.